A private community is a secure members-only site. You control who can log in, view and participate. Navigate to Admin > Settings. Click the Privacy panel. Select Private and click Save. Your community is now private! Only users you invite will be able to access the community. You can also grant access to your entire company by email domain. 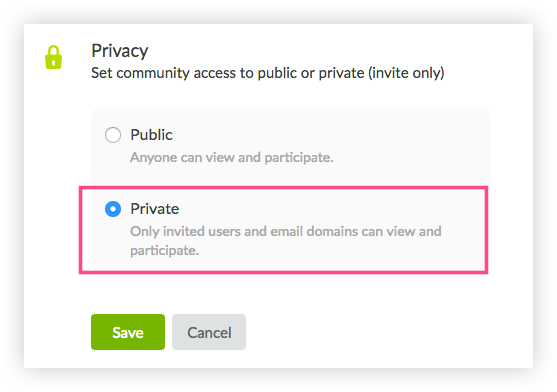 There are two ways to grant users access to your private community. You can invite people or give access to everyone in your company by email domain. 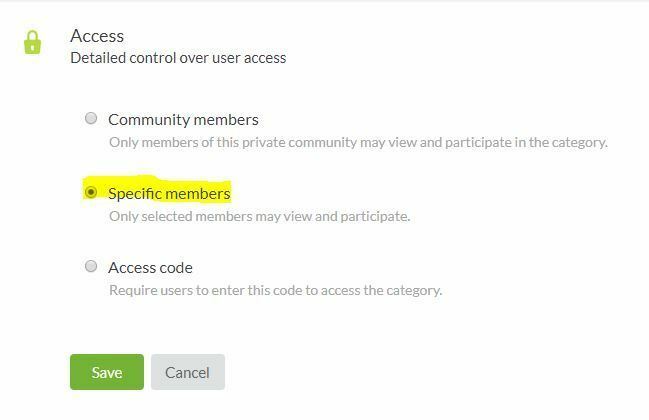 Forumbee Support can I create a community that is private access (users can only participate -- write posts, like etc -- via SSO login) but publicly visible (read-only). Several of our members have mentioned that they don't have a strong incentive to participate in our community vs places like Reddit or Stackoverflow because no one can see the value of their engagement outside of our community. 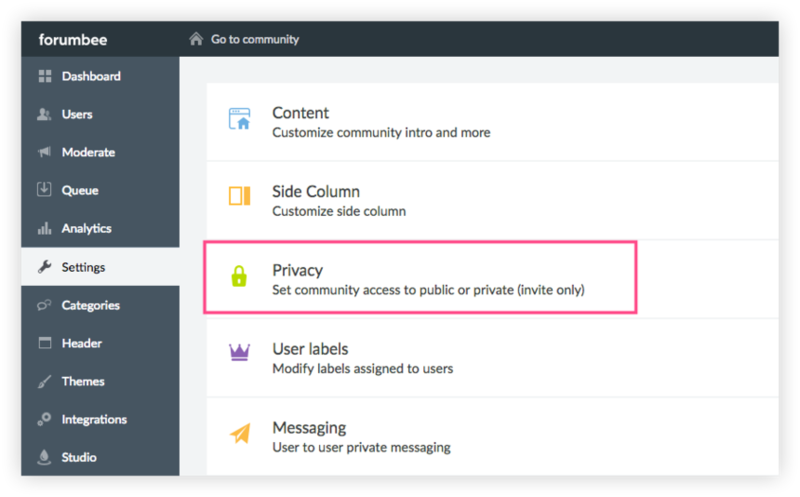 Set your community to Public in Admin > Settings > Privacy. This will make your community publicly viewable, and users must log in to participate. When the user clicks log in or sign up, you can send them to your application login page. Go to Admin > Settings > SSO and enter your application page URLs into the remote log in/logout fields. Forumbee Support I tried following your instructions and am having trouble. When I land on the site, it displays publicly for a split second before automatically taking me to the sign-in page. How are "Specific members" defined? Hi Gene , that setting is for when you would like to choose which members have access to the category. See this article for more details. Thanks!